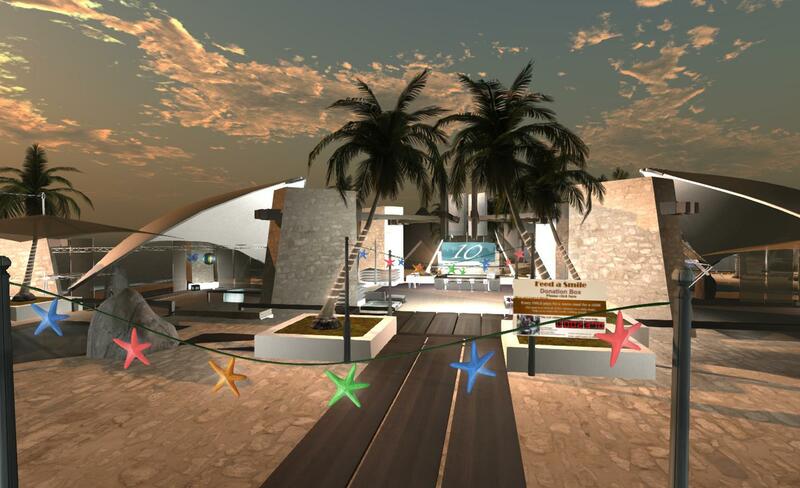 SL10B by Us is an intersim event in celebration of Second life’s tenth anniversary. From now until the 30th June, SL10B by Us (SL10BBU) will be featuring DJ-led parties, live music entertainment, art exhibitions, hunts, spoken word events, and more, as well a special charity events for Feed a Smile. as well as a special event in honour of those who have fought cancer and survived. Organised by Taylor Flanagan and Chloe Seljan of PotPourri Markets, events of SL10BBU are centred on a main stage area and shopping / exhibition area at Boutou, but include lives music and other activities across a number of regions including: The Garden of Absentia, The Lavender Field for Feed a Smile, Felini Couture, The Final Curtain, The Roof, Ce Soir Castle, [http://maps.secondlife.com/secondlife/Wave%20Beach/108/124/23, Live of Africa, Relic, Paris 1900, La Rose Rouge, Pacific’s Club, and My Wish Music Park. In addition, there are a number of exhibitions taking place across several SL galleries and regions as a part of the festivities. A full list of planned events can be found on the SL10BBU website’s event’s page. Participants in events include noted DJs and live performance artists from across SL, including DJ Bcreative Wilde, DJ Savannah Coronet, Engrama, Greg Ellis, Gina Stella, SaraMarie Philly and Starrfish Ohmai; poets and voice artists such as Russell Eponym, Eluna Baramm and Aeon et Mireille, as well as artists and photographers at a number of gallery events. 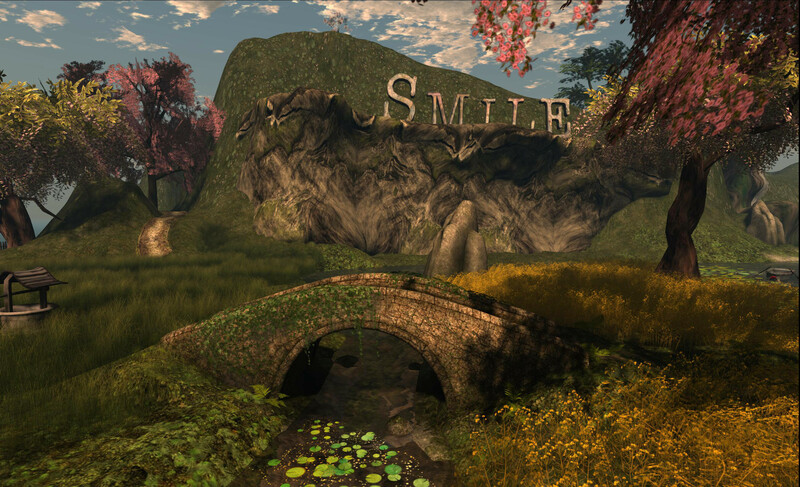 Commencing on June 15th, the SL10BBU hunt will take participants across Second Life in search of flowers designed for the event by Ama Avro. Each flower will reveal a special gift. Further details on the hunt will be available on the SL10BBU hunt page. In an interesting link-up SL10BBU is using a dio place as a means of promoting events and to share photos in a gallery format. Is this a separate event? I mean, other than SL10BCC? Yup. SL10BCC is just one (admittedly the largest) SL10B-related event taking place in June. As with last year, many communities and organisations are arranging their own celebrations or joining together to co-host events and activities. SL10B by Us is one of the latter. As per the links, see the Destination Guide SL10B category for other events and activities which are being organised. That’s quite a hefty deal of events going on. Thanks a lot Inara 🙂 it’s always really an honor to be post by you. Thanks a lot! Yes, SL10B can be celebrate by residents. So everyone can choose their own way to say Happy Birthday to SL. It’s just exciting. June is simply totally full of events. You’re welcome. I hope time permits me to drop by some of the events!